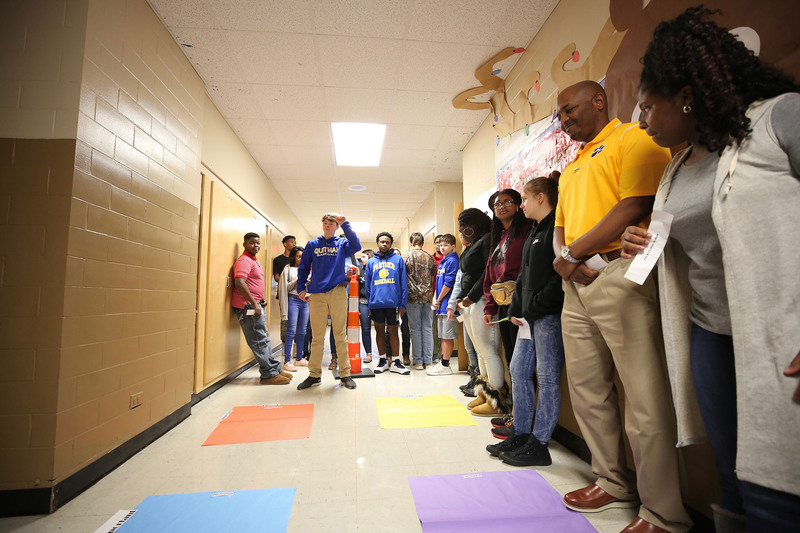 Quitman Junior High students walked into the hallway last week to see that Mrs. Armstrong had placed four posters on the floor. Each poster represented one of the four time management quadrants found in Stephen R. Covey’s The 7 Habits of Highly Effective People. Students were then handed a piece of paper with an activity typed on it. They were instructed to place the activity on one of the four posters, or quadrants as Covey calls them. The activity was either Important and Urgent (Quadrant I), Important and Not Urgent (Quadrant II), Not Important but Urgent (Quadrant III), and Not Important and Not Urgent (Quadrant IV). 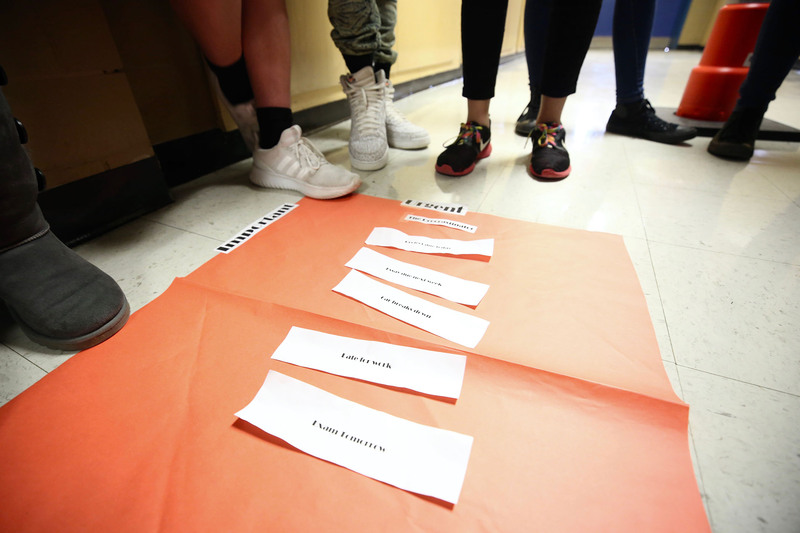 From their study of Covey’s 7 habits these students understood that effective personal management will mean they are spending most of their time dealing with important but not urgent matters, such as goal setting, school assignments, proper nutrition, and exercise. 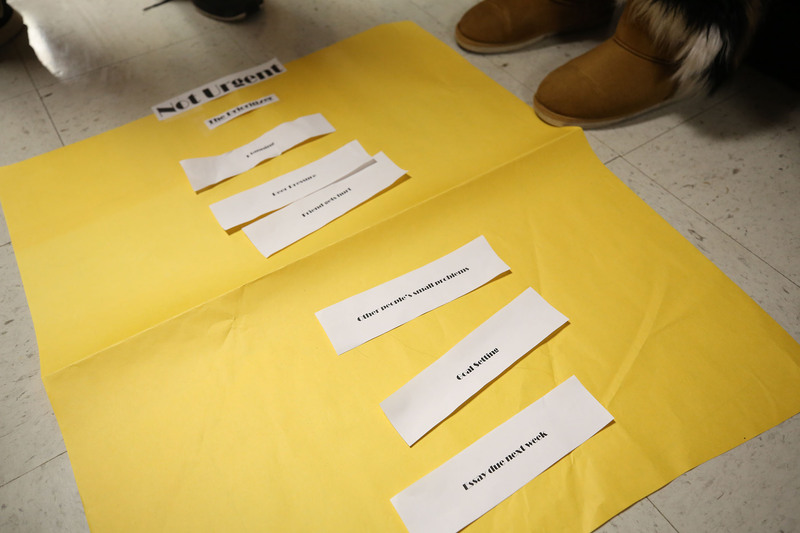 Armstrong suggested that the students examine and discuss how they categorized the activities. She reminded them of Covey’s suggestion that finding ways to spend more time on Quadrant II activities will lead to them being more effective in their lives. 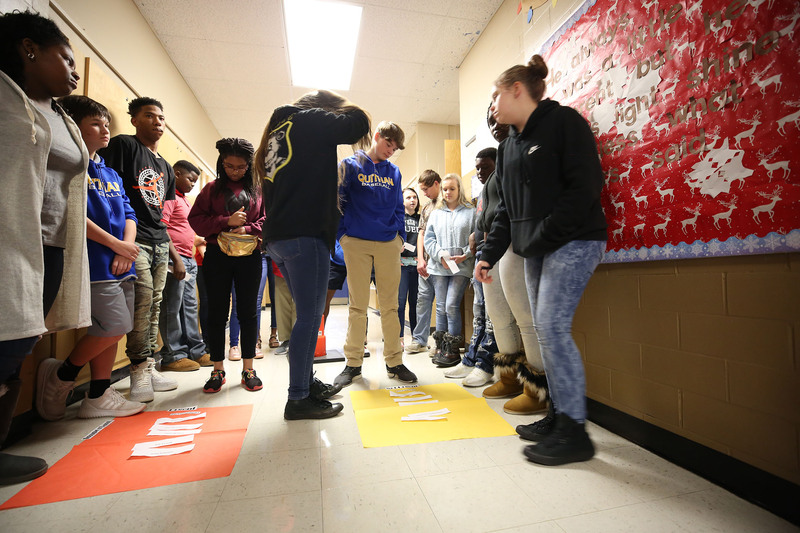 And once they are personally effective, the cooperation in Habit 4’s Think Win-Win becomes almost a natural consequence as the students seek a mutual benefit in all of their interactions.